Even very well cared for teeth can become stained by everyday activities such as drinking tea, coffee and red wine. Habits such as smoking can also cause stained teeth, and many people are unhappy that their teeth have lost their natural white sheen. Tooth whitening is a simple and effective way to restore your teeth to their natural white colour, making you feel happier about your smile. What’s more, it’s a cosmetic dental procedure that you can do yourself at home, with the help of your dentist. The exact shade of whiteness varies from patient to patient, and will be discussed with you by your dentist before you start treatment, so that you know what results you can expect. Teeth whitening procedures usually take about two to three weeks to complete, meaning it’s the perfect boost to your smile for occasions such as weddings or important business meetings. 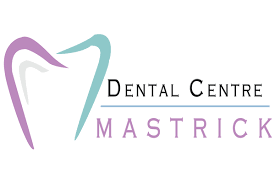 At Mastrick Dental Centre we use a home tooth whitening system that utilises custom-made trays and teeth whitening gel. Many people wear the trays overnight, or they can also be worn for short periods during the day. Your dentist will first take impressions of your teeth to ensure the trays fit your mouth perfectly. These impressions are sent away to the lab for your trays to be made, and when they are ready you will have a second appointment to ensure they fit properly. You will also be given tooth whitening gel. You should wear the trays containing the gel for usually two weeks or as instructed by your dentist before your final appointment. Teeth whitening is suitable for most patients, although if you have pre-existing crowns or veneers that match your existing tooth shade, they will not be affected by the gel, so you should consult with your dentist before treatment as they may need to be replaced to match your new tooth colour.